March is proving to be an eventful month. According to Fruition.net, on March 7th, many website owners received “manual web spam” notices from Google for unnatural inbound links. Then, there was the announcement that Ann Smarty’s site MyBlogGuest.com was penalized and de-indexed by Google. Then, we started hearing of other sites that were penalized as well. Ann Smarty even modified the update on her blog to confirm that some member sites were hit by Google as well. As for MyBlogGuest.com . . . While Doc Sheldon makes it clear that he relies primarily on client referrals and not organic search traffic for his business, he makes some interesting observations (while fostering a lively conversation in the comments). In her article, Manual Spam Action Revoked! A Case Study, Jenny Halasz on SearchEngineLand.com relays the story of an almost two year battle helping a client recover from a Google manual spam action penalty. Now, most of us may not be able to directly relate to the client in this case study. (They receive millions of visitors per month and had thousands of links on their site that Google felt violated their quality guidelines.) However, this is a very interesting read and there are definitely lessons to be learned here. The good news is that their Google reconsideration request was finally approved. Some of you who know me may have already read my blog post How Do You Know Which Bad Links Caused Your Google Penalty? Thankfully, as of today, I have not received a manual penalty from Google. I have lost a significant amount of organic search traffic but in the scheme of things, that’s a small price to pay. I recognize that in Jenny Halasz’s article, she mentioned that search traffic was not an indicator that there was something amiss with her client site. However, in my case, if I had been paying closer attention to my Google analytics, I would have noticed my search traffic dropping and I could have started cleaning up my outgoing links sooner and I could have identified that spammy site that was linking to me and disavowed them sooner too. Hopefully, you’ve come through this month relatively unscathed. It’s proving that we need to be more diligent than ever what sites we link to and what sites link to us. Have you received any penalties from Google or know someone who has? Has your site been hit with Google’s algorithm changes? I’ll leave you with one more article to check out. It’s 50 Reasons Your Website Deserves to Be Penalized By Google by Claire Broadley on KISSmetrics.com. Whether you’re trying to troubleshoot a penalty or trying to avoid one, there should be some useful information there to help you. For more great information, connect with this week’s featured authors, Ann Smarty, John Mueller, Doc Sheldon, Jenny Halasz and Claire Broadley on Google+. Making hyperlinks in the comments sections of blog articles is a good practice or its a spam. Im New to online marketing world and learning about it. You’re very welcome. That case study was so interesting and insightful. I was surprised to learn that a website can be impacted by a penalty and not see a drop in overall traffic. Are there other signals that we should be looking for? Thanks so much for the advice Jenny and for the additional insight into where your clients traffic was coming from. I depend way too heavily on organic search traffic. 5% is something that I can only aspire to. I’m glad I found your article on SearchEngineland.com. I’m sure I’ll be featuring more articles from you in the future. Now, I’m off to read your post about big brands and Google+. I have been hearing about Manual spam action, especially after what they did to MBG. I don’t invest much into search engine traffic (Sure, I potentially lost of traffic), but I prefer to rely on other sources for my traffic (guest posting, social networking and so forth). Of course, that doesn’t mean I would ignore search engines. Now, that would be foolish. I have done that in the past, so I don’t want to repeat the mistake. Thank you for sharing these resources, Sherryl – especially Claire’s article on Kissmetrics. I am going to check it out right now. Jeevan Jacob John recently posted..7 Techniques to Confront Demotivation! It’s wise to not depend on SEO. At any point in time, we could lose any or all of our organic search traffic from Google. Any one of us could fall victim to their algorithm changes or manual spam actions. I think the main thing that we can do now is to closely watch all incoming and outgoing links from our site. I’ve been combing my comments and guest posts to ensure that I’m removing anything that has a hint of being “unnatural” (whatever that is). I am definitely making sure that I’m not pointing to parked domains riddled with ads. As always, thanks for visiting and commenting. I hope you have a great week! From what I hear a Google manual penalty is a fairly vague notification, and not the clearest in the world. However, at least you would know that you have a penalty. An algorithmic penalty can be a real challenge to track down, especially since they are constantly changing the way it works, and rolling out new updates. It’s difficult to track down. Is it onsite or offsite? Is it content related, or link related? Is it something you did or something someone else did, etc. Was it more recent, or was it related to something you did years ago? I still don’t agree with the whole monitoring your backlink profile that they seem to be pushing. I know a lot of people do a lot of backlinking, but there are also sites and people that link to yours without your knowledge. I don’t know how we are supposed to keep track of them and make sure they are not poor quality or bad neighborhoods. I have yet to find an accurate, free, or reasonable priced method of doing so. From what I’ve heard, the communication from Google is frustrating and of little help. They’re not specific as to where the problems are and they simply direct you to generic online help. It’s confusing as best and overwhelming for many who can’t afford to hire professionals to deal with the issue. Google really has us over the barrel when it comes to monitoring our backlinks. If we don’t, there’s a very real risk of being de-indexed. I’m a huge proponent of CommentLuv but I think those of us who use it are vulnerable (especially those of us who have been blogging for years and have thousands of comments). The closest free tool that I’ve found for identifying bad neighborhoods is the “Bad Neighborhood Link Checker” on Bad-Neighborhood.com. As always Ray, thanks so much for adding your insight to the conversation. I don’t think my site has been round long enough to get any serious attention from Google, but you never know. As yet I rarely get any notifications from Google in Webmaster tools (the occasional 404). So I am happy with that. But trying to keep your link profile clean and be careful who you allow to comment, leave links and guest post on your site is crucial I think. The fact that your blog is fairly new is an advantage but you use CommentLuv and as much as I love it (I do), it’s a spam magnet and you have to be especially diligent about reviewing your links. My blog is 4-years old and I have thousands of CommentLuv links. Even though 404 errors do pop up, those are the easy ones to find. It’s those pesky domain names that have changed hands over the years (and now point to spammy sites) that you have to be on the lookout for. Hmmmm, copyright infringers create over a million new URL’s a day, due to Google’s failure to filter. Searches for designer apparel are infested with counterfeiters. The Google spam efforts are vastly overrated, so they pull PR stunts to create the perception that they are effective. That’s so true Randy. Many innocent bloggers and business owners are just collateral damage. Mainak Halder recently posted..Why should you not blog for profit but profit from blog? I think those of us who have older blogs (and especially those of us with do-follow CommentLuv links) are undoubtedly at the greatest risk. One thing that I did not pay attention to was sites linking to me. When I lost a significant amount of organic search traffic, I found a dating site that had over a thousand links pointing to me. Their webmaster denied it but I could see it in Google Webmaster tools. I finally submitted a Google disavow request. So, that’s something to keep an eye out for. It’s been awhile since I’ve checked my site on Fruition. In fact, I’ve been so busy with a two household merging, that I’ve had time to do little else. I need to take some time to do that. My traffic has been steadily increasing and I’ve seen no substantive changes in that. I haven’t seen anything from Google so I think that means I’m ok. It’s so hard to be perfect. It also would appear that Google is making harder and harder for us to what we do with issues… sigh! Unfortunately, Fruition has decided to deny access to the last three months of data for free account holders. I think the good will that they’re losing will hurt them in the long run. Google is making it harder for small business owners. I feel really badly for people who have been penalized and even worse de-indexed. Many of us can’t afford to hire professionals to help recover and cleaning up our sites, preparing a reconsideration request etc. can be time consuming and not always a DIY project. It’s good to hear that your traffic is steadily increasing! Thanks for dropping by. It sounds like you’ve been very busy. Interesting Sherryl. Haven’t checked my sites on Fruition for a long time. So I did. My international blog, according to them, has been extremely negatively impacted. My Swedish homepage, on the other hand it has had a really positive impact on. Can’t help wondering if the fact that I have CommentLuv on my blog has an impact. However, there is no drop in traffic to my blog and I am getting used to Google’s changes in algorithm alternating between having positive and negative impact on my sites. Catarina recently posted..Would you like a Golden Ticket at Goldman Sachs? Are you saying that the negative impact you saw was on the site where you have CommentLuv installed? That wouldn’t surprise me at all. Those do-follow links are getting peskier all the time. I’m not willing to give up on CommentLuv but having it installed does come with it’s downside. I’m currently in the process of manually going through all of the comments left on this blog. Oddly enough, in Fruition’s latest newsletter, they identified BlogSpot as one of the sites that could potentially be causing backlink problems. It’s one of the sites that their client who had received manual web spam actions had in common. So, other than a couple of bloggers who I know and trust, I’m removing all CommentLuv backlinks from BlogSpot blogs as a precautionary measure. Fruition blacked that information from me as well, Sherryl. Actually found that really annoying because in the past it was possible to see how Google favoured/unfavoured you. Fruition just want us to pay them. Will also keep CommentLuv. Thankfully few people use BlogSpot. I know Catarina. What was wrong with letting people see the data on one website for free? I keep telling myself that I need to email them just to let them know that they’re losing points with those of us who were giving them some free press. 🙂 I still think they should grandfather those of us who joined before they started doing this. Forget it, Sherryl. It’s just about making money. Nothing else. Besides, I’m not sure the information they provide makes much of a difference. It seems to be up and down all the time for most of us. Maybe we just have to live with that unless we want a blog to be a full time job. Catarina recently posted..How do you respond to risks? Great finds, Sherryl! The case study by Jenny Halasz was a VERY interesting read… I am now taking my rank tracking way more seriously. I am using a paid service for rank tracking to use with clients but i have been negligent about it for my own sites. I am going to correct that so thanks for the reminder. Are you using the paid version of frutition? as i see recently they “block” the last few months’ updates and i am not convinced just yet they are worth the money… what other value (beside latest updates info) is given to premium members, do you know? I am so disappointed in Fruition and I am not willing to invest in their monthly subscription (yet). I’m not sure where the added value would be but I think investing in social media tools would be a better strategy for me rather than chasing organic traffic. BTW – I think Fruition should have grandfathered those of us who signed up with the belief that we would continue to have free access to one website. It will be interesting to hear if anyone here subscribes to Fruition and if they think it’s a worthy investment. As always, thanks for taking the time to join the conversation. Hmm.. Google are behaving like DAD of internet before penalizing any site they don’t even think how much efforts are there from a side of Blogger. As Doc Sheldon suggested in his open letter to Matt Cutts, “I think that Google knows that in doing so, they’re hurting a lot of innocent sites, and has made a conscious decision that those are ‘acceptable losses’.” – I agree with that statement. Thanks for joining the conversation Deepak. Yes my FB site had some trouble in a really bad timing for me being busy with some project I am working on. I just had to let it go. I will be looking at it when I have time though! I’ve seen a traffic drop from an average of 2700 to 800 visits / day! Thanks for the write up, good reminder. That’s a shame that your site was hit. That’s a significant drop in traffic! I so wish Google would leave legitimate bloggers alone and go after the spammers. Thanks for taking the time to drop by and weigh in on this. 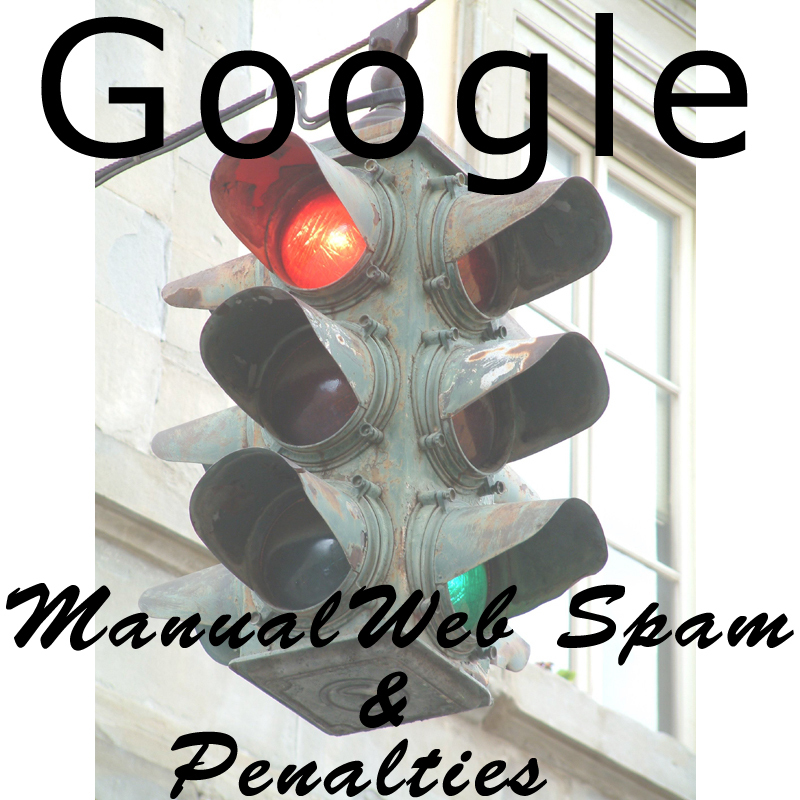 Next post: Google Manual Web Spam Action or Algorithm Change?